We will show you how to install PHP 7.2 on CentOS 7 as an operating system. PHP is a server-side scripting language commonly used for Web development, but it is also used as a general-purpose programming language. PHP powers WordPress, the most popular content management system used for blogging and building websites as well as may other e-commerce websites, customer relationship management software, enterprise resource planning software and much more. Installing PHP 7.2 on CentOS 7 is a pretty easy task and it should be completed in less than 10 minutes. PHP 7 offers much better performances than PHP 5.6 and older PHP versions. Compared with PHP 5.6, PHP 7.2 could execute as much as three times more requests. 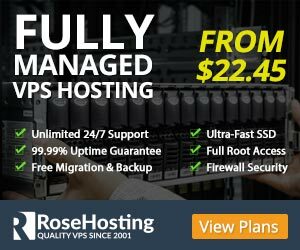 If you have installed WordPress on your Linux VPS, this means much lower server load, thus you should expect your website to run faster with PHP 7.2. In addition, PHP 7.2 offers some security improvements. There are some deprecations though that you may want to check before you consider upgrading to PHP 7.2. Install yum-utils if it is not already installed. 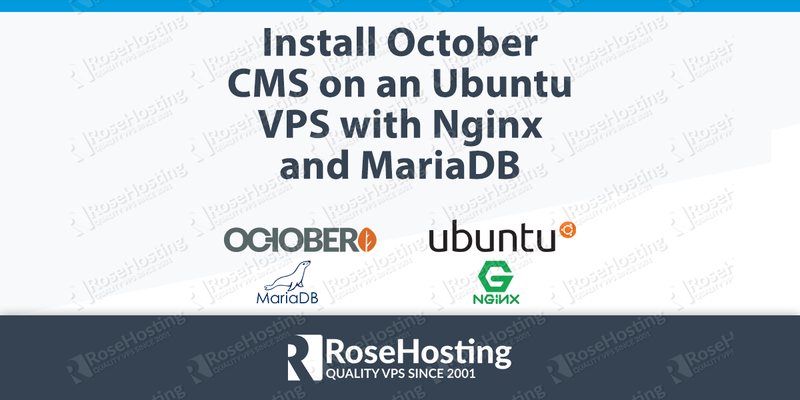 Once you have PHP 7.2 installed on your CentOS 7 VPS you may want to customize some of the settings. Follow the steps below to do so. The command will return the path to the php.ini file which is currently used. # php --ini | grep "Loaded Configuration File"
You can use any editor of your choice to edit the file. We will use nano in our example. Once you change the settings you want to change, save and close the php.ini file. 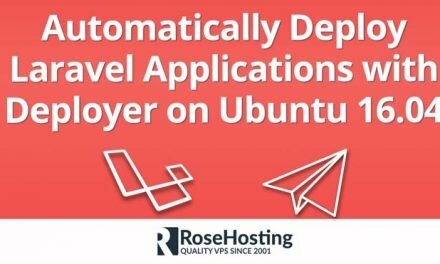 If you are using Apache as a web server, you need to restart the Apache service for the new configuration to be loaded and for the changes to take effect. If you are using Nginx and PHP-FPM instead of Apache, you should restart the PHP-FPM service. To check if the PHP files are being executed on the server you can create a sample info.php file and access it via web browser. Save and close the file, then open your favorite web browser and access the file by using your server IP address in the URL followed by the name of the file. 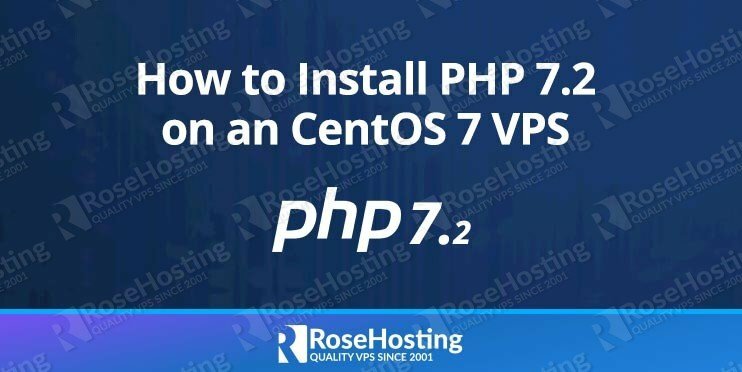 Of course, you don’t have to install PHP 7.2 on CentOS 7, if you use one of our PHP 7 VPS Hosting services, in which case you can simply ask our expert Linux admins to install PHP 7.2 on CentOS 7 for you. They are available 24×7 and will take care of your request immediately. PS. If you liked this post on how to install PHP 7.2 on CentOS 7, please share it with your friends on the social networks using the buttons on the left or simply leave a reply below. Thanks.